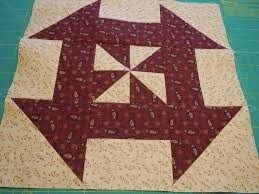 The Missouri Star Quilt Company has this great tutorial for this block. It starts with a giant pinwheel. Two of my favourite blocks combined. and try a few blocks. I love these Missouri Star tutorials.